Tis the season for sipping bubbles and the SorBabes never miss a good party. 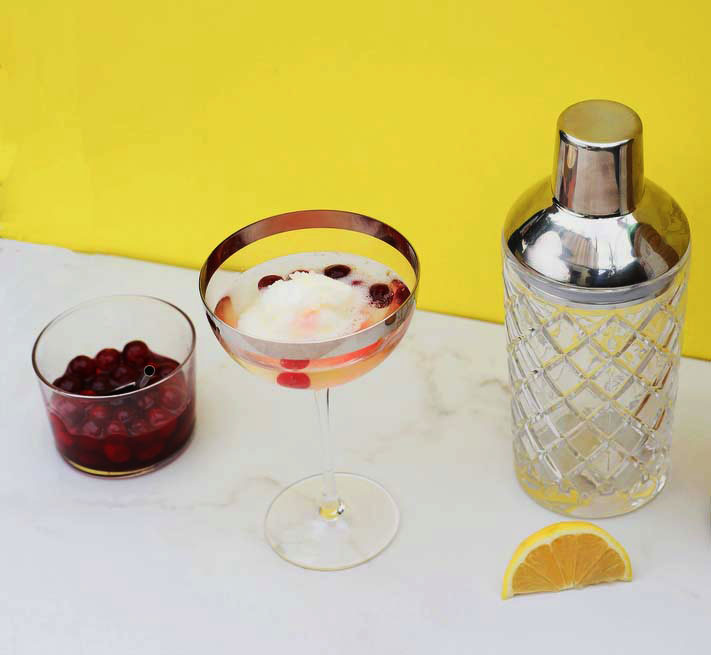 We love Babe Sparkling Pinot Grigio to top off this seasonal cocktail with our Maraschino Cranberries. Bring the Maraschino, water, sugar and vanilla bean to boil. Add cranberries and simmer until you see a few berries pop. Remove from heat and let steep, covered but vented, and cool to room temp. Cover fully and chill overnight. Keep up to 6 months refrigerated. To serve, scoop about 1 oz of Jam N’ Lemon SorBabes into the bottom of your favorite cocktail glass, top with a few of the Maraschino cranberries and some of their liquid. Top with Sparkling Pinot Grigio. Cheers!